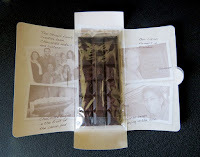 Welcome to Day #12 of Chocolate and Ecuador Theme Week, and Day #3 of Nibs Theme Week. 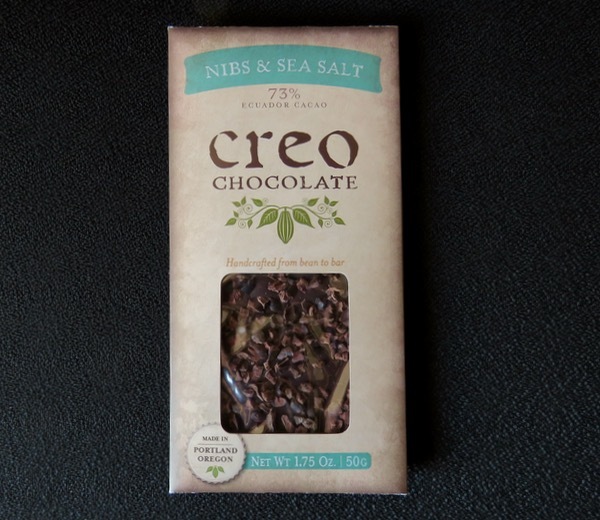 Today's 73 percent Ecudaor Cacao with Nibs and Sea Salt bar from Creo Chocolate (Portland, OR) was made from Heirloom Arriba Nacional cacao, a fine-flavored cacao from Ecuador known for its floral flavor. I purchased this bar earlier this year while on a trip to Portland; and I was able to visit some makers, like Creo, in person. 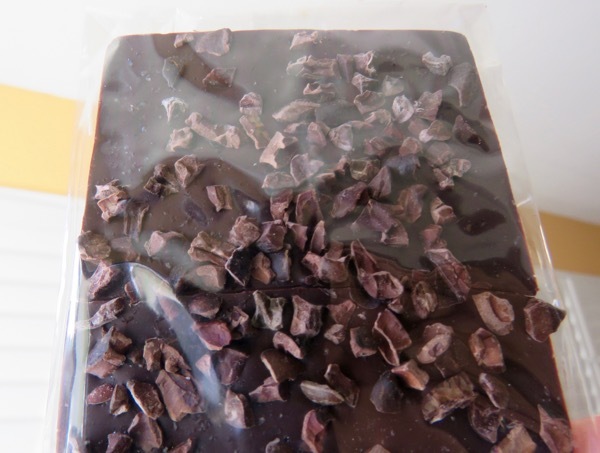 With only a few days in the city of roses, I barely scratched the surface of the chocolate making scene there. Creo, a word that translates into both "I believe" and "I create" is an apt name for a craft chocolate maker. 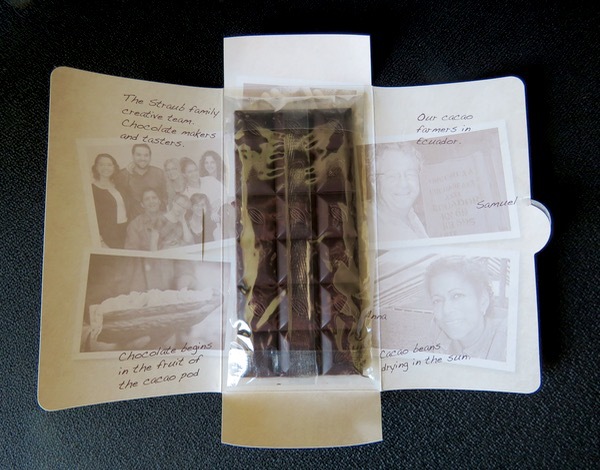 And these chocolate makers have created a 73 percent cacao dark bar containing a bouquet of aromas and flavors that I associate with Ecuador: slightly earthy, green, floral, sweet marshmallow, nutty, slightly woodsy, and a very small, pleasant, wine-y note in the last bite I had. Nibs added tiny windows of unadulterated (unsweetened) cacao flavor, and crunchy texture to the smooth dark, well-tempered chocolate that had a nice, even melt. And for those that like a bit of salt, you'll get that some sparkles of that too.